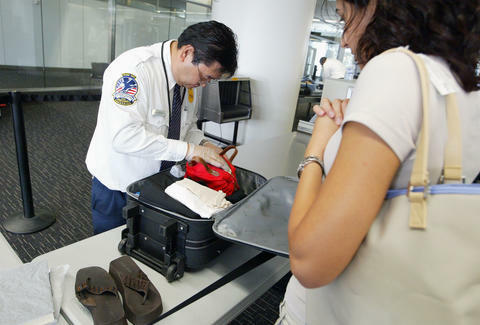 New restrictions could be coming to how you pack and travel, but don't fly into a rage yet. This is only bad news if you're one of the few who don't bring your laptop on board with you (and if you don't, well, download some Netflix titles and you might change your mind). In short, the US Federal Aviation Administration, or FAA, is proposing that the UN enact a worldwide ban on storing laptops and other large electronic devices in checked luggage, citing the risk of fire. The danger comes from the lithium ion batteries that power virtually all laptops. When placed next to aerosol canisters like the ones used for hairspray containers or dry shampoo, the combination can result in an explosion. In an enclosed area like luggage is stored in, the flames are uncontainable. 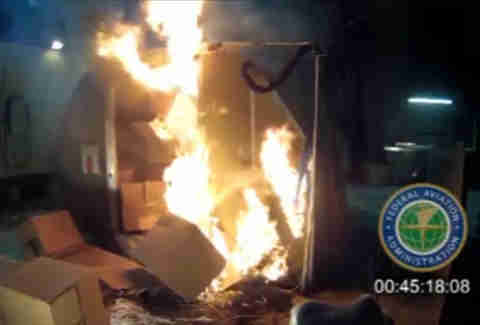 The FAA conducted 10 tests in which they forced a laptop into what's called "thermal runaway," a not-uncommon state in which the laptop battery's temperature continuously rises. In one test, an 8-ounce bottle of dry shampoo was strapped to a laptop and caught fire almost immediately. The shampoo exploded in under 40 seconds. That's fast enough to beat fire-suppression systems, which could mean what the FAA's report ominously calls "loss of the aircraft." There's a chance this ban won't include domestic flights since the danger is increased when flying overseas, but we won't know much until the UN considers the proposal in the coming weeks. If the UN decides to move forward with the ban, the International Civil Aviation Organization will set safety standards, but individual countries still have to ratify the rules for themselves. Since the US is the country proposing the ban, it's likely that we'd follow suit. More flying rules never sound like fun, but this is definitely preferable to using your seat cushion as a flotation device.